A microlauncher spaceport could be coming to Spain, enabling the country to become the tenth nation in the world with independent access to space. A market that will by 2020 be worth over 5.5 billion Euros ($7 billion). 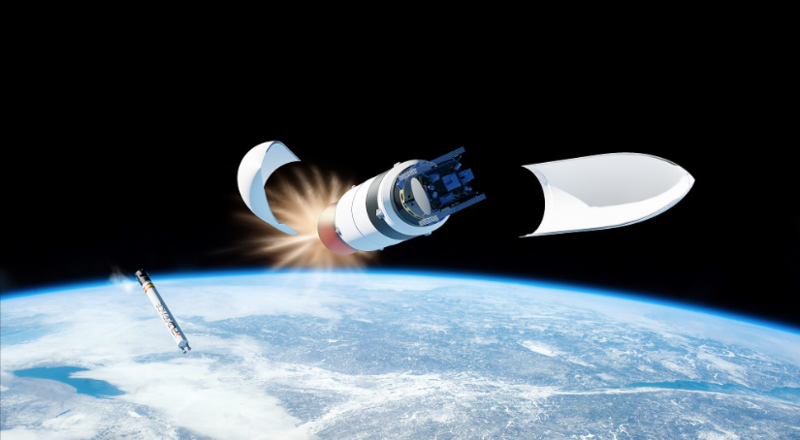 The microlauncher study, a part of the ESA’s Future Launcher Preparatory Program, will refine the definition of the European small satellite launcher project proposed by PLD Space, named ARION 2. In this study, ESA has also tasked PLD Space with proposing and defining, both technically and economically, a new European spaceport, which will be dedicated to launching small satellites to polar and heliosynchronous orbits. The microlauncher project sets a precedent in Europe, because for the first time, ESA has publicly announced the study of a commercial launcher outside of its standard launcher fleet, currently formed by the Ariane 5, VEGA and the European version of the Soyuz. As a result of the growing support from both the public and the private sector, the new spaceport would ideally be located in Spain. A Spanish spaceport would allow Spain to become the tenth country in the world with independent access to space. This capacity would increase the capabilities of the national space industry and strengthen the Spanish space industry and science. PLD Space is also evaluating offers from other countries who offered to place a spaceport in their territories; i.e., the Azores Government in Portugal, Andoya Island in Norway, Kourou in French Guiana and the proposed British spaceport. In this proposal, five companies have received the agency support for microlauncher project studies, with PLD Space being the only small company. The other companies, among which many are also involved with European institutional launchers, have over 500 employees. Currently, PLD Space only has 36. Additionally, the Spanish company GMV is also included in this project. GMV will give PLD Space support on analysis and trajectory estimations of the ARION 2 missions from different spaceports proposed by PLD Space. In addition, within the microlauncher project, GMV will define ARION 2 requirements from the avionics and GNC (Guidance, Navigation and control) standpoint, as well as define the requirements for the ground segment, especially telemetry, monitoring and telecommand. This project comes a year after ESA awarded the Recovery and Reutilization for a European Launcher project also known as LPSR (Liquid Propulsion Stage Recovery). The project, which PLD Space is developing in cooperation with the agency, will develop the first European reusable launchers. PLD Space is scheduled to perform two launcher recovery technology tests before the end of 2019. Raúl Torres, PLD Space CEO and Co-founder said that by ESA showing confidence in their company again is invaluable. It allows them to complete their business plan and shows the Agency’s interest in the commercial space launchers for small satellites. When the ARION 2 launcher enters service on 2021, it will join the global fleet of launchers along with the ones from companies like the American Rocketlab and Virgin Orbit, which will cover the market demand for small satellites launches. A market that will by 2020 be worth over 5.5 billion Euros ($7 billion). PLD Space is already operating from its new facilities located in the industrial park of Elche, where the company will soon install the first suborbital and orbital rocket production and assembly facility in this part of Europe. With this, Elche will become a European technology center, which will attract qualified talent from all aspects of spacecraft technology.